It may not be pretty, but the new 2014 Cherokee is an important model for Jeep. Making its debut today at the 2013 New York Auto Show, the new crossover promises better economy than its predecessors, yet just as much utility and performance. The new Cherokee uses the underpinnings of the humble Dodge Dart sedan, but a recent video showing its off-road prowess should reduce any fears from customers that the car has gone soft. 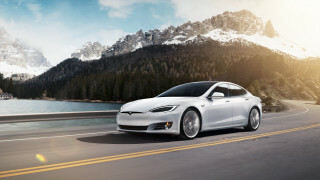 It still gets all-wheel drive, for example, but as Motor Authority reports, it gets a rear-axle disconnect allowing it to reduce mechanical friction from extra driven wheels to save fuel. The car can switch seamlessly between two- and four-wheel drive, ready for when you require extra traction. While a newly-downsized, 271-horsepower 3.2-liter Pentastar V-6 tops the new Cherokee's engine range, the four-cylinder engine is more relevant to us here at Green Car Reports. 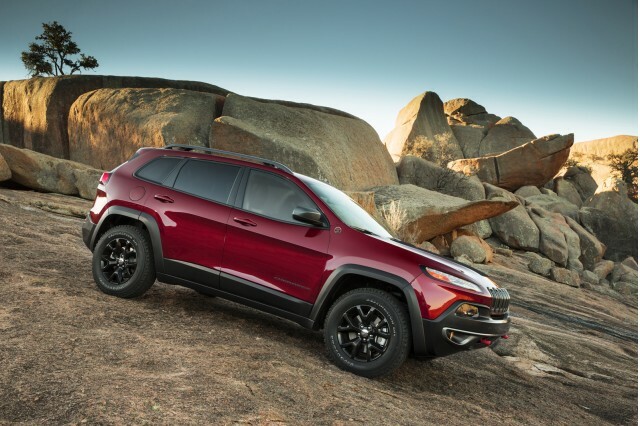 It's the familiar 2.4-liter 'Tigershark' unit found in other Chrysler products, but the new Cherokee's smaller size and lower weight finally makes it a realistic choice. It puts out 184 horsepower and 171 pounds-feet of torque, while returning economy 45 percent better than that of the old Jeep Liberty. Jeep says a figure of 31 mpg highway is on the cards--compared to just 22 mpg highway in the Liberty. Cabin quality improves over the Liberty too, with a Dart-inspired cabin, soft-touch materials, optional Nappa leather, electric seat adjustment, heating and cooling, and more. An 8.4-inch touchscreen, panoramic glass roof and a huge roster of safety features also make the cut. Full pricing and EPA fuel economy figures will be announced closer to the Cherokee's launch this fall. 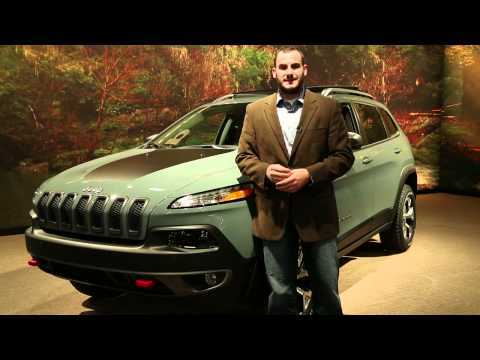 For more details on the new 2014 Cherokee and all the rest of the launches and concept cars, be sure to bookmark our New York Auto Show news page.